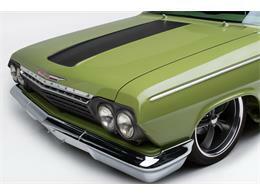 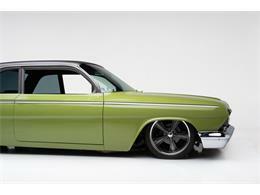 - SALE PENDING - Building a great Resto-Mod takes a mix of style, performance and creativity. 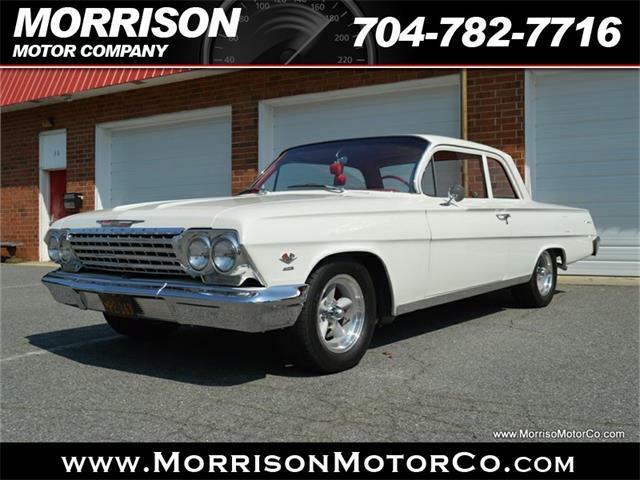 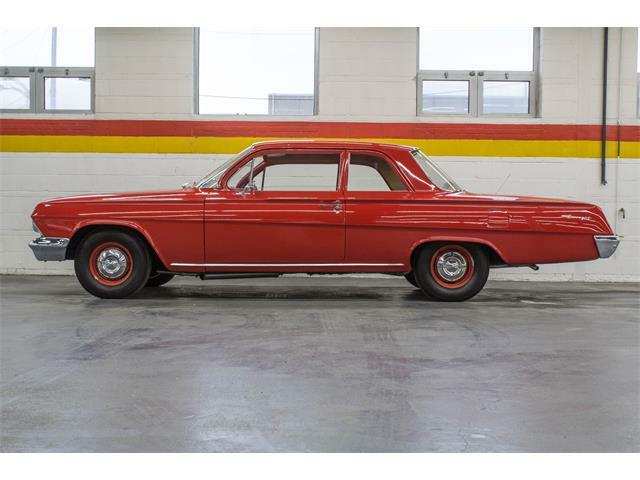 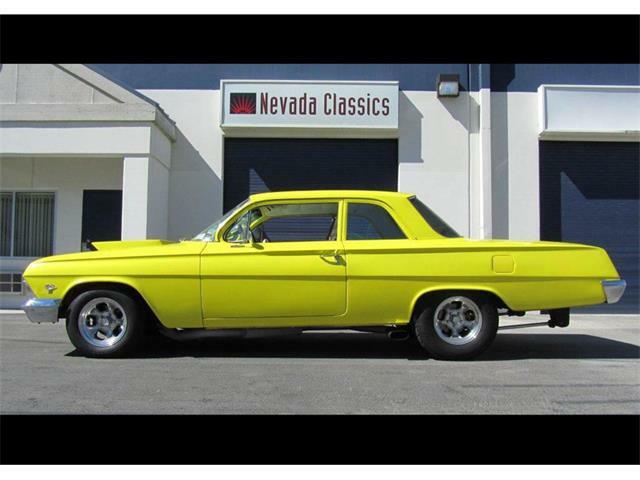 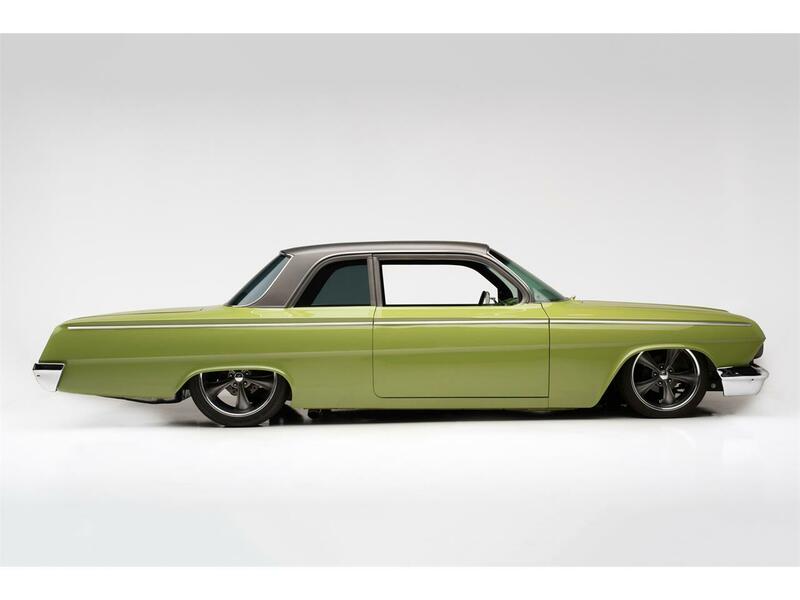 Finding the balance between being a showpiece and drivability is essential, and this 1962 Chevrolet Biscayne custom is a perfect example. 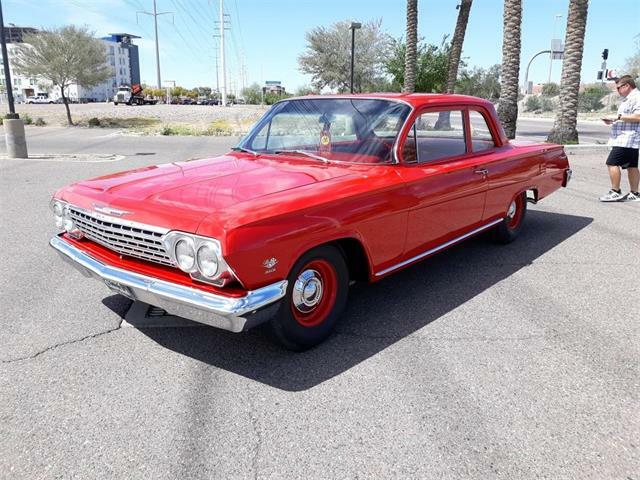 Arriving as a decent custom build, the team at the Barrett-Jackson Garage was turned loose to unleash the full potential of this Chevy. 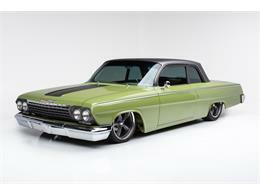 When it rolled into the shop, the car had already had an LS3 V8, disc brakes and air-ride suspension. 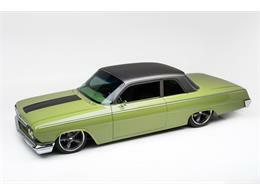 The outside had been custom-painted all one color and the interior featured a custom-made metal dash painted to match. 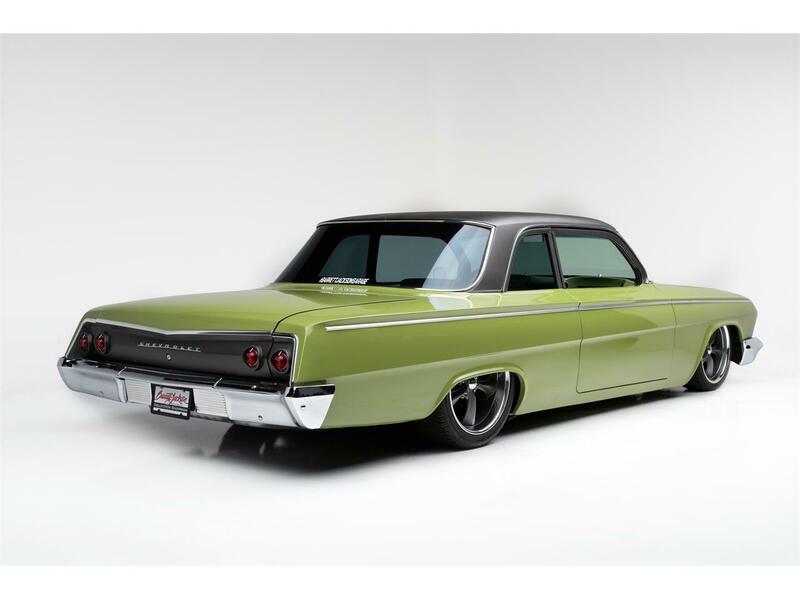 To improve the drivability, a 4L60E automatic transmission was swapped in to match up with the existing 6.2 LS3 engine, backed up by a Dana 60 rear axle with a limited-slip differential. For driving comfort, air conditioning was added with a kit from Vintage Air. 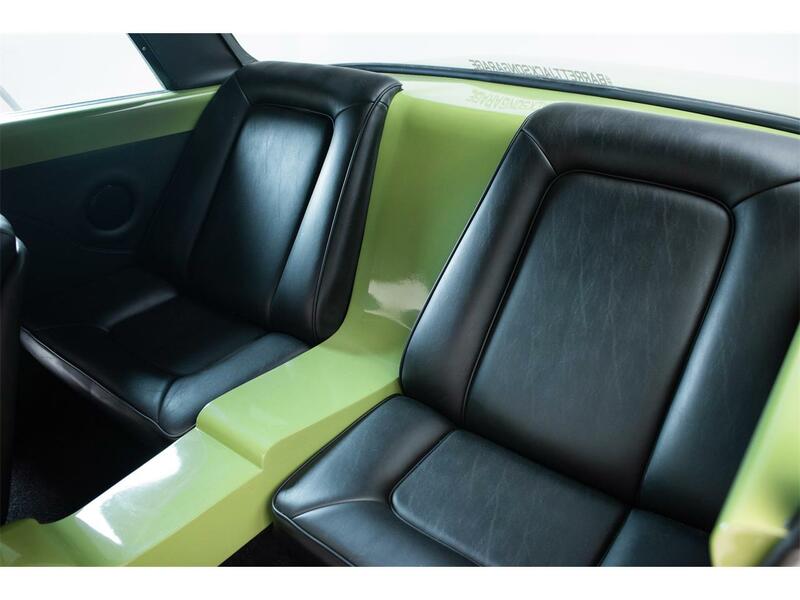 To complete the interior, a set of custom door panels with armrests was made, as well as a new center console storage compartment that houses the air ride and ignition switches. 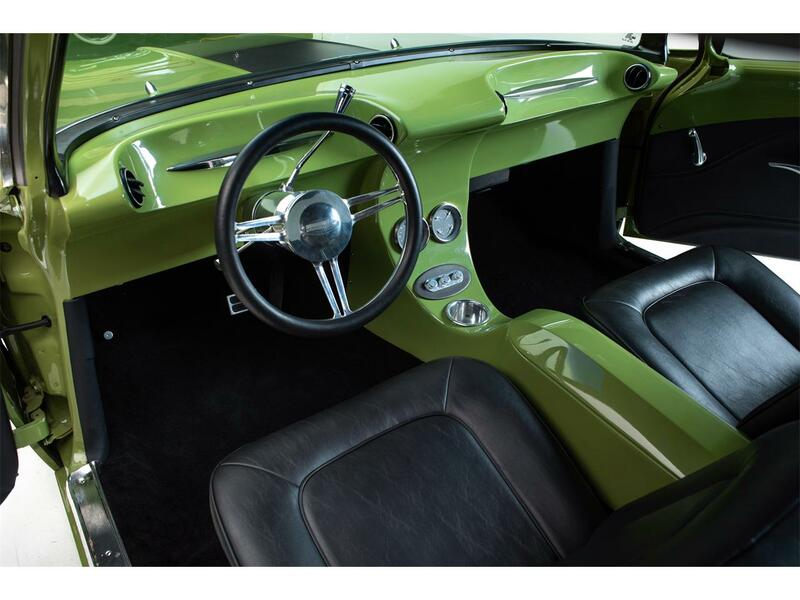 Controls for the new air conditioning system were added to the console, along with a cup holder and air conditioning vent openings molded into the dash. 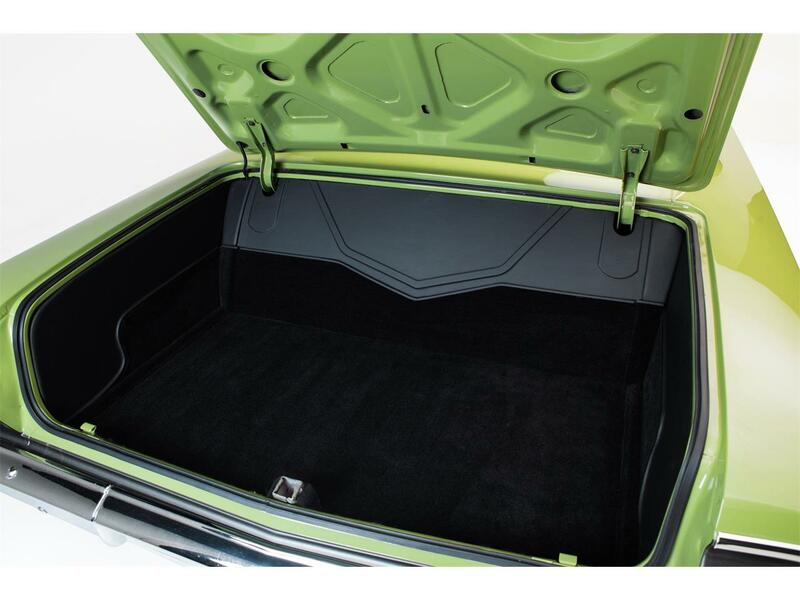 A hidden stereo was added, and the trunk was fully upholstered to match everything, capping off the interior. 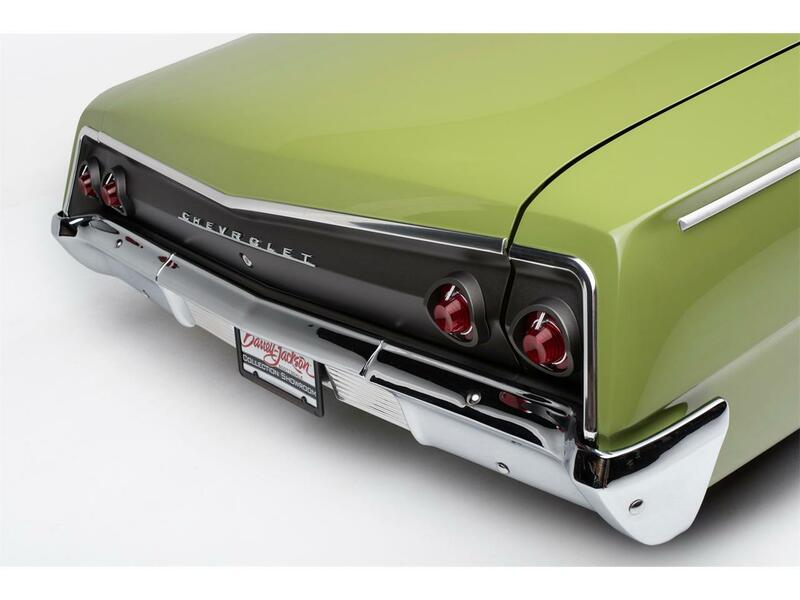 For the exterior, the monotone paint was accented a matte gray metallic sprayed on the roof and pillars, as well as the taillight panel to match the grille. 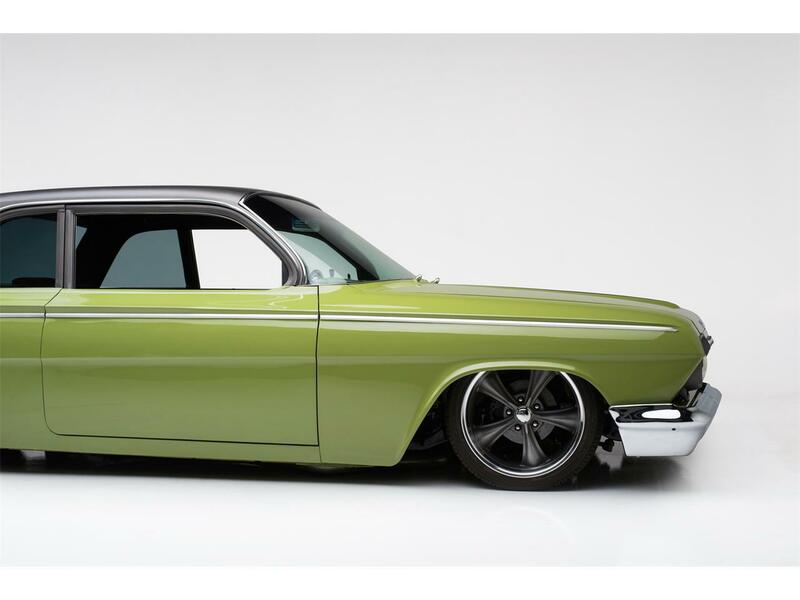 The rest of the paint was wet-sanded and polished to knock down any imperfections and let it shine like it was meant to. Finally, to make the engine bay one of a kind, a custom handmade set of inner fender wells with radiator cover was fabricated in house, showcasing a seamless custom engine bay with the LS3 being the focal point, all painted in the same matte gray metallic. 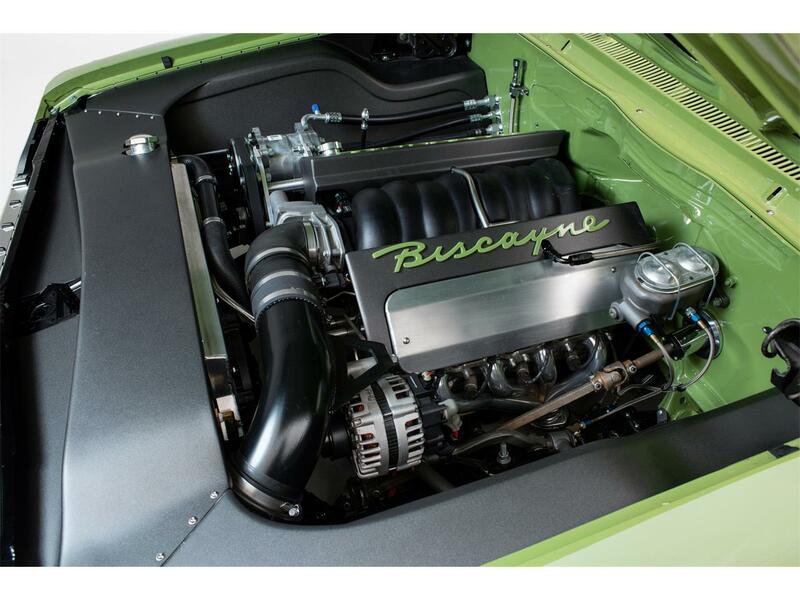 To cap everything off, a set of custom valve covers was added, painted to match and bearing the “Biscayne” script across. After countless hours of fine tuning and attention to detail, this custom Chevy is turnkey and ready for anything from the Power Tour to Goodguys – and everything in between.